Gorgeous and realistic-looking cowhide fabric. 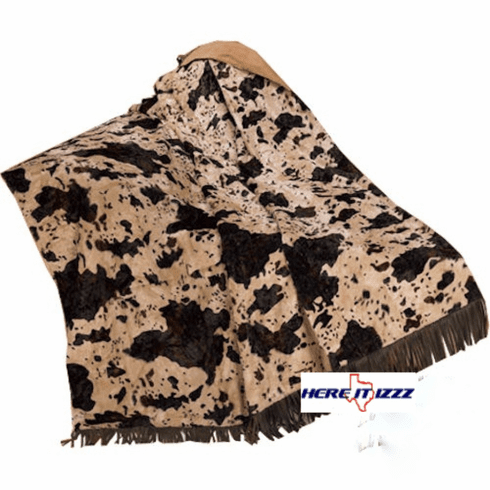 Get that country Farm or Ranch feel simply in Easley with a cowhide throw. An amazing synthetic fiber looks and feels like genuine hair on cowhide leather. This beautifully designed Western throw has gorgeous 3 inch trim and makes a perfect gift.